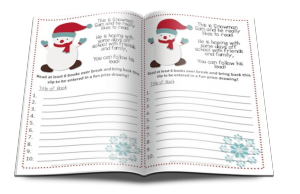 Classroom Freebies Too: Snowman Themed Reading Handout! This winter-themed Reading Over Break handout will do just that. Want your own Snowman Sam Reading Over Break handout?